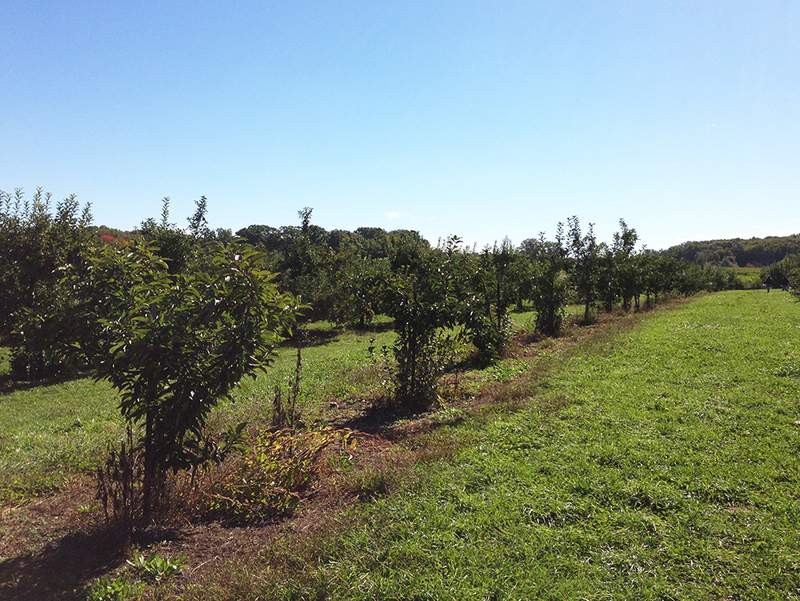 This fall, some friends and I went apple picking at Dame Farm and Orchard. 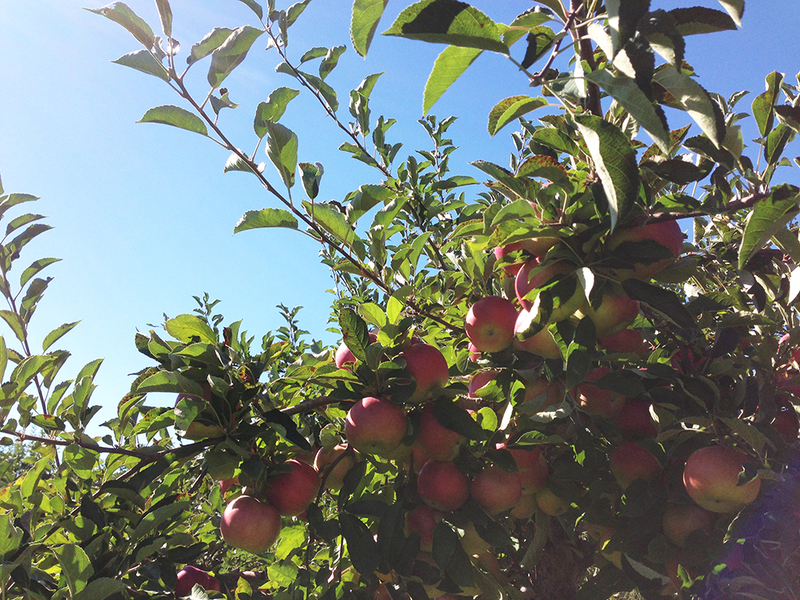 Prior to this, I hadn’t been apple picking since I was a little kid (at some other orchard). Back then, I remember secretly climbing the trees to get the best apples. This time around, I relived the joy of strolling around in the amazing autumn weather and snacking on fresh apples, except I could reach most of the highest apples on the trees without climbing them (that’s good for me, and very good for the trees). After going apple picking again, I can’t remember why I ever stopped going. Probably because at some point in my childhood after going once or twice, my parents quickly realized that they couldn’t possibly consume the bushels of apples we kids were scavenging from the defenseless trees. Nonetheless! It’s a great time for kids and adults. I also learned that there are a ton of apple types that I never even knew existed (like sweetly-tart Empire apples, or crispy-sweet Honeycrisps!). Supermarkets I frequent don’t typically carry these other types, but instead vie for the more common Red Delicious (which are terrible in my opinion) or Granny Smiths, which I love. 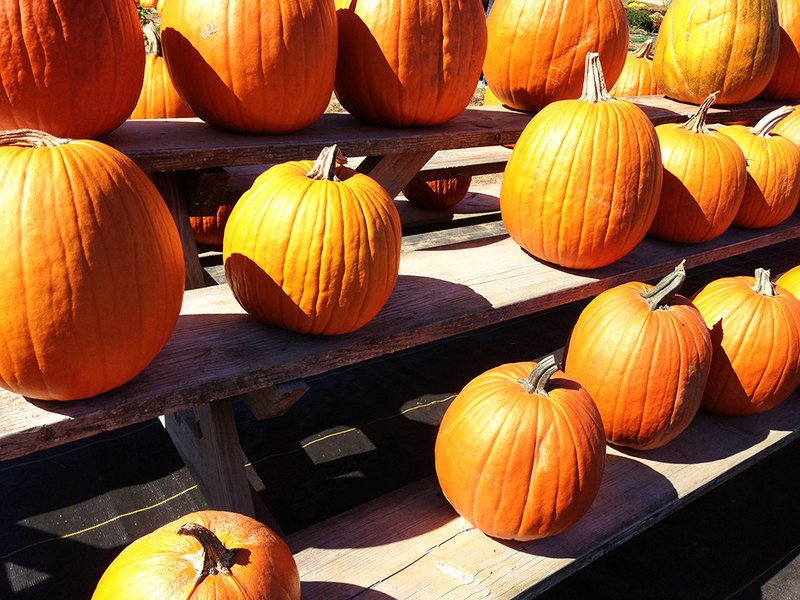 If you haven’t had a chance to go apple (or pumpkin picking) then get out there and get it done! The season is almost over! In addition to the fruit, produce, and corn maze, they also have tractor hay rides that pull kids and family around the farm. At the orchard, you’ll find apples obviously, but you’ll also find fresh produce, pumpkins, gourds, weird squash I’ve never seen before, local products like honey, apple cider, donuts, and even carnival-style fried treats. 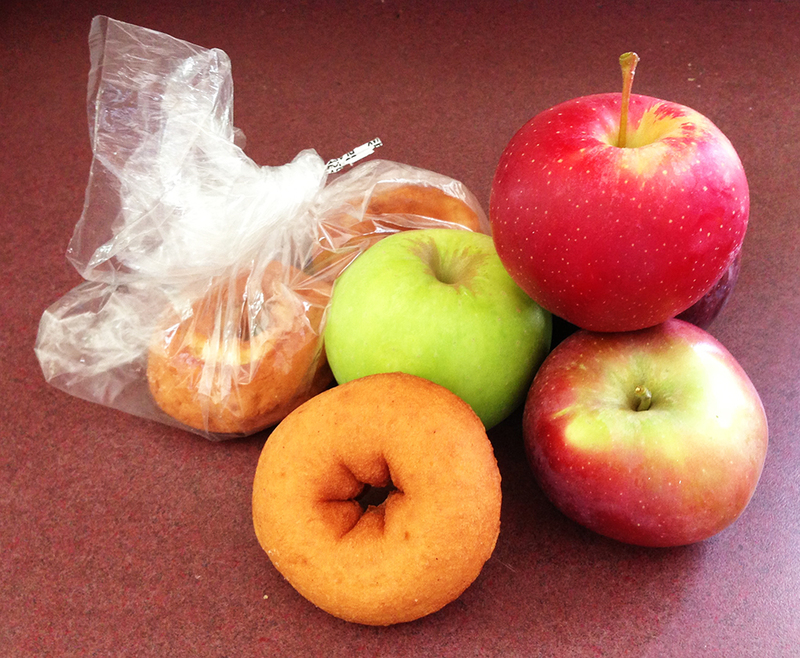 All of the apples I tried were delicious (especially the crisp, tart ones) and none of them were especially mealy. 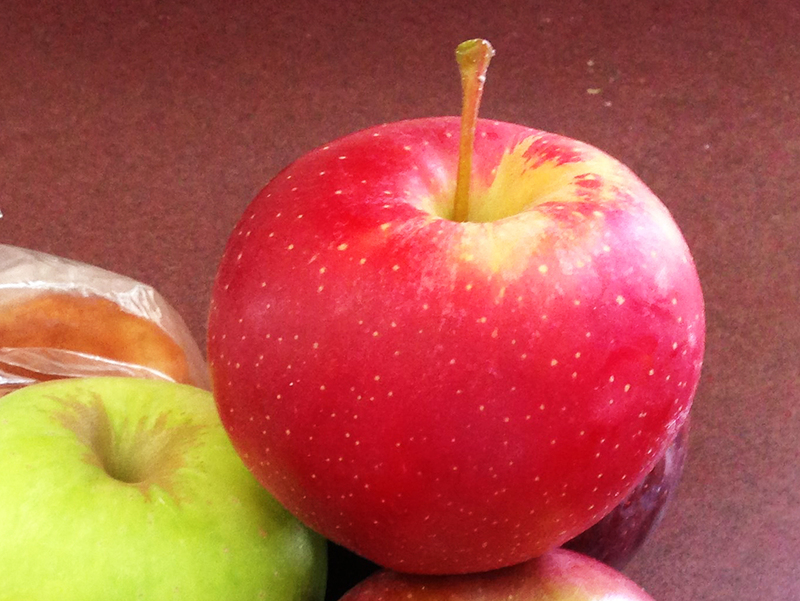 Nothing is worse than a mealy apple (like a lot of McIntosh apples from the grocery store). I greatly enjoyed picking these fresh fruits and tasting them along the way. When you leave, you weigh your bag and pay about $1.50 per pound with a $5 minimum. Upon entering, the gourds were stunning. I loved seeing all of the colors and shapes of the different kinds. If you really want the essence of autumn in your home or office, then strategically place a few of these gourds around and you’ll have that feeling even when you’re inside. 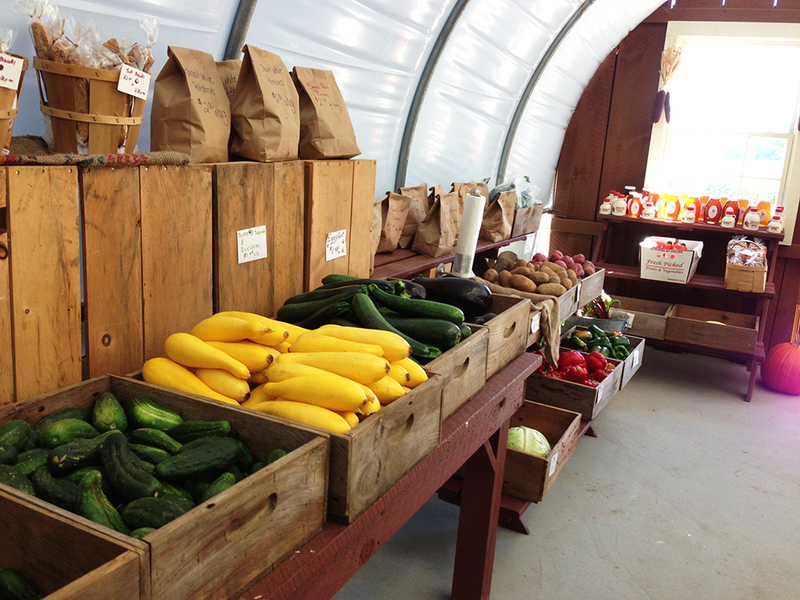 Inside the store, you’ll find fresh produce, honey, and other items being sold. Everything looked great and worth purchasing. The biggest stars of the day were the Apple Cider donuts they were selling inside the store. They had two kinds of apple cider donuts: plain and covered in powdered sugar. At first glance they didn’t seem like anything special, but at first bite, they were pretty incredible. The donuts had a classic cake-like consistency, but were also light and almost fluffy. They didn’t feel heavy at all and it was easy to eat a few more than one should at one time. The best thing about these donuts is that they didn’t have that artificial, oily, mouth-feel that a lot of fall donuts from some of the huge donut chains in the area have. The aftertaste was just clean and delicious without being cloyingly sweet. These were really the best Apple Cider donuts (or fall donuts in general) that I’ve ever had. As I mentioned above, Dame Farm and Orchard also have pumpkin picking for those looking to find the perfect pumpkin and who may not be that into apples. 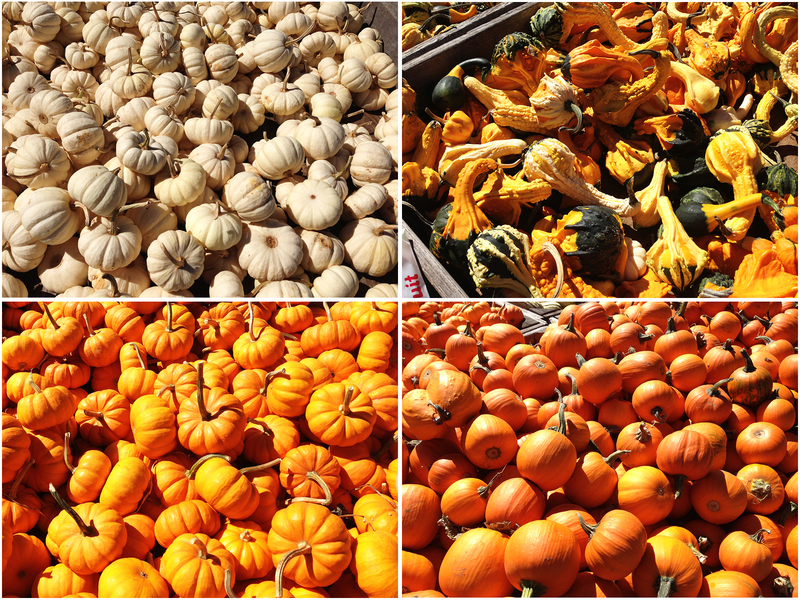 The pumpkins from the patch come in all shapes, sizes, and even colors. Some of the colors I couldn’t even believe were natural (like turquoise! ), but there you have it. Nature is full of surprises. Dame Farm Orchard is convenient, easy to get to, and makes an unforgettable fall experience that you’ll want to re-live yearly. Highly recommended as a great local orchard to take friends and family. 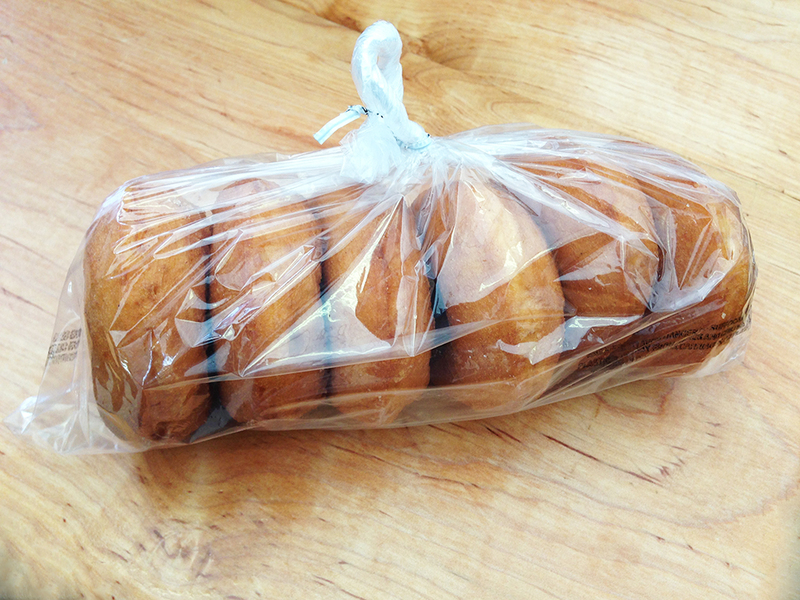 Don’t forget to grab a bag of the Apple Cider donuts! nice, dude! just reading this, you made me hanker for apples something awful. fruit over here in japan is giant and absoultey flawless looking (no bruises, no bug nibbles, no discoloration), but because of that it is super unbelievably expensive. in other words, i never eat it. what i can i say, i like not being poor. i gotta find me an apple farm nearby and see if they can hook me up. also, i agree. apple cider donuts are amazing. You make everything soooo interesting. I love your description of food, places and events. Thanks so much checking out the blog and for the kind words! They’re much appreciated!